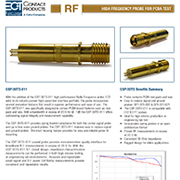 ECT’s High Frequency Probe family offers high reliability and excellent electrical performance at competitive pricing and significantly reduces the cost per test insertion. 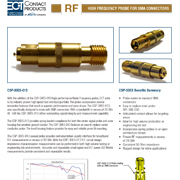 With the addition of the CSP30 & CSP40 product lines, ETC adds to its industry proven high speed test interface portfolio. 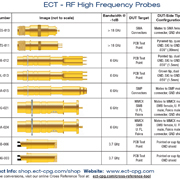 The probe incorporates several innovative features that result in superior performance and ease of use. 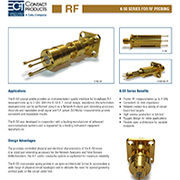 Click on the links below to download our RF High Frequency Flyers.